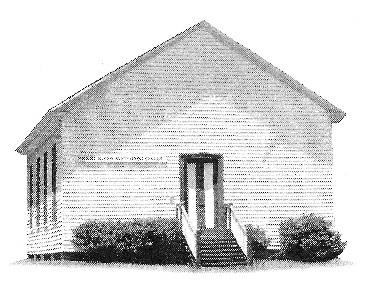 Pearl River Church is the home church of the Lambuth family, which holds a unique role in the history of Methodism as ministers and missionaries dating back to the early 1800s.William Lambuth, born in 1765, became a Methodist minister serving first in Virginia, then in Kentucky and Tennessee as a missionary to the Indians and white settlers. One of his sons, John Russell Lambuth, became a Methodist minister and in 1843 moved with his family to Madison County not far from the Natchez Trace, near what is now known as Pearl River Church. The church included a school, Pearl River Academy. James William Lambuth, the second son of John and Nancy, became a Methodist preacher and married in 1853. He and his wife, Mary volunteered to be missionaries and served forty years in China and Japan where they were founders of Methodist churches, schools, and hospital. J.W. and Mary were parents of four children: Walter Russell, Nettie, Nora and Robert. During one return visit to Mississippi during the Civil War, the family stayed in Madison County for two years, attending Pearl River Church. Daughter Nettie died during this stay and is buried in the Pearl River Church cemetery. The family returned to China. Born in Shanghai, Walter Russell Lambuth was ordained an elder in the Tennessee Conference of the Methodist Church, and returned to China with his wife Daisy Kelly as a medical missionary. He returned to the United States in charge of all missionary work as General Secretary of the Board of Missions. Lambuth was elected Bishop by the M.E. Church, South, in 1910, and was assigned to Brazil. The following year he established Methodist work in the Belgian Congo, Africa, later traveling to Europe and establishing Southern Methodism in Belgium, Poland, Czechoslovakia, Manchuria, and Siberia, supervising missionary work worldwide until his death in 1921. He died in Japan and his ashes were buried in Soochow, China, next to his mother. In addition to the four generations of William, John Russell, James William, and Walter Russell Lambuth and their wives, at least ten other family members served as Methodist ministers and/or missionaries.